Rishi Bhargava, one of the co-founders of Demisto, was tasked with building a marketing budget to assist with securing Series A funding for Demisto. A quick Google search landed him on a HubSpot Marketing Budget Template, which he promptly downloaded. His download triggered nurture emails from HubSpot that, at the time, seemed to provide timely assistance with everything he needed to plan and build a marketing budget for his startup. This initial taste of inbound marketing got him sold on the concept. Once the company closed Series A round of funding and secured the marketing budget, Rishi’s first goal was to see how he could implement Inbound for Demisto from Day 1 and get a head start. And what better place to start than where he first learnt about Inbound - HubSpot. Demisto approached MarketHeed just before their official product launch in May 2016. They were looking for a full-service inbound marketing agency that would lay the groundwork for building a lead generation engine to fuel their business growth. Demisto understood early on that inbound is a journey and not a race. It takes consistent effort and time to generate results. This initial understanding was key to our success with Demisto as it helped us focus on the bigger picture and avoid distractions for short term gains. 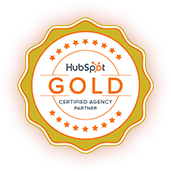 As a HubSpot Gold Certified Partner, MarketHeed understood the need for the right strategies, the right tools and the right executable plan to accelerate Demisto’s marketing efforts and fuel their business growth. MarketHeed partnered with Demisto to identify and refine their buyer personas, analyze their business and marketing goals, build a marketing plan to achieve those goals and establish KPIs to measure progress and improve their marketing efforts. Just as HubSpot was a pioneer with Inbound Marketing, Demisto pioneered Security Orchestration - a term that has now become analogous to the traditional cybersecurity incident response space. Consequently, it made sense for Demisto to “own” this term in the organic search world. We took on the challenge and started off by crafting an overall strategy using the HubSpot’s SEO planning tools. The strategy, that we planned using the HubSpot Content Strategy tool, involved creating an SEO content pillar page for Security Orchestration, and building the necessary content to support the pillar page. We then started executing on the promotional efforts and the off-page SEO strategy to build traction for this page in the organic search world which included generating inbound links for the pillar page. We slowly started getting results and through our efforts, and today, Demisto’s pillar content page for Security Orchestration ranks at position #2 in Google search results. The security orchestration page ranks second, only after the home page, in terms of generating relevant CTA clicks (tracked using HubSpot’s reporting and CTA tools) - which ultimately leads users to Demisto’s HubSpot hosted landing pages and generate quality leads for Demisto. Demisto didn’t just want a content marketing strategy, they wanted to establish themselves as a “Thought Leader” in the cybersecurity incident response space. A company blog is the primary tool to attract qualified, organic traffic to one’s website and whitepaper offers help turn that traffic into leads. A smart content marketing strategy starts by answering the questions that customers are asking on a daily basis. And that is exactly was we did. Here’s one example of our work. Using HubSpot’s content marketing, analytics and planning tools, as well as through discussions with Demisto sales teams, we were able to determine a hot topic of conversation with prospects - the ROI of the Demisto platform. Using HubSpot’s content marketing tools, we implemented a content strategy that involved writing blogs, whitepapers, etc. around the core topic of ROI of an Incident Response Platform and promoted it through various channels such as Social media, email and other paid search and social channels. Needless to say, it became one of the top content offers at Demisto and generated a ton of leads for them. As is the case with most industries, there is a lot of research and data available out there for customers to consume. However, the research that Demisto needed to understand security orchestration and automation space was scattered and siloed. In order to understand their customers better, Demisto commissioned a firm to conduct an unbiased survey in the industry to learn what their target audience really wanted. We saw an opportunity to use the survey data that Demisto had collected and converted it into an industry report that would put Demisto’s findings in front of their customers, providing them with timely and relevant information about the state of the industry, and where it was headed. 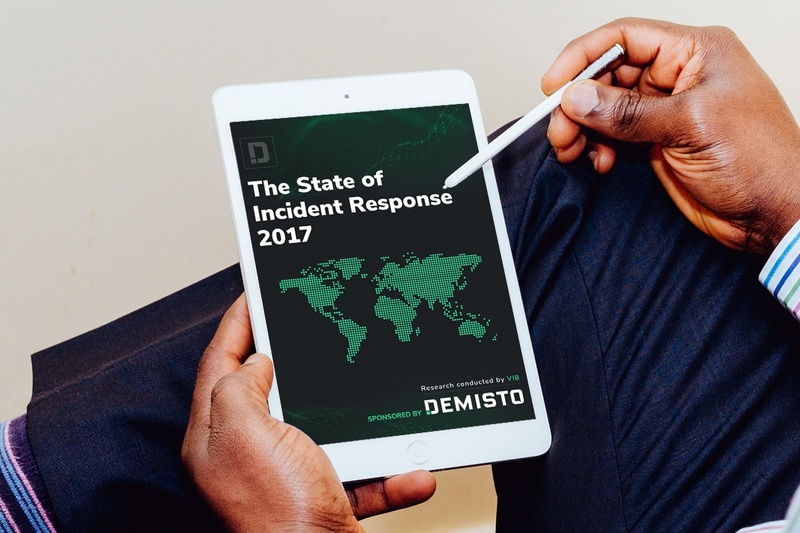 We built the report that we called ‘The State of Incident Response 2017’ and promoted it using a HubSpot landing page. We promoted the report using HubSpot’s Email marketing tool and other online promotional channels and it quickly became one of the top downloaded offers at the time. When we were building the above mentioned report, we realized that the report was quite extensive and detailed, and to promote it well, we would need a concise, more digestible content offer that can ultimately lead to report downloads. So, we built an infographic to promote the report using a StarTrek theme - as we knew it was already quite popular with the tech/security audience of Demisto. 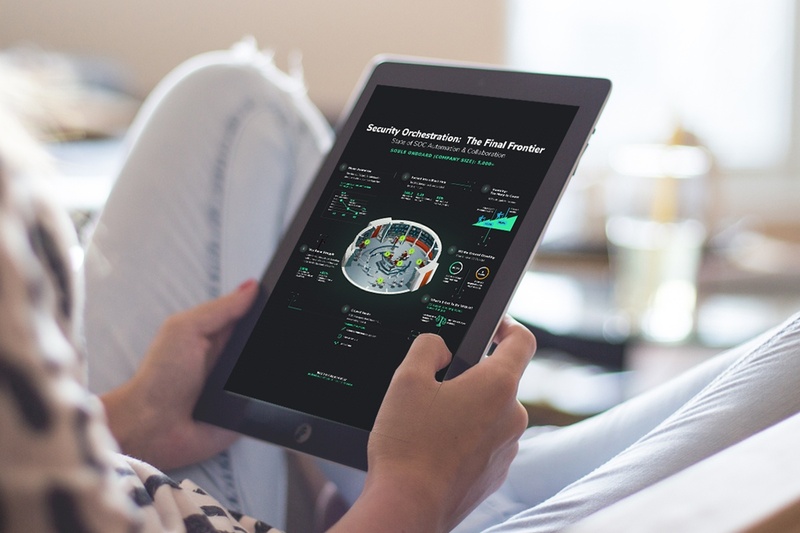 The infographic was called Security Orchestration - The Final Frontier that we promoted through a custom designed HubSpot landing page. We also offered an embed code on the landing page that others could use to embed the infographic on their website, which not only opened it up to a broader audience, but also brought SEO benefits to Demisto. In addition to creating the landing page, we also created a PDF version of the infographic that Demsito could email to prospects, as well as had out printed copies at various tech events where they were exhibiting. Together, the infographic and the report were one of the most sought after content assets and became one of the top ROI generating campaigns of the time for Demisto. As a wiseman once said “Go where your customers are.” What better way to generate fast online visibility than to be talked about on channels where your customers already are? Using the Thought Leadership content we created, Demisto got more visibility, better brand awareness, and high-profile media placements in places such as Network World, Dark Reading, CIO, SC Magazine, Security Week, etc. which we tracked using the HubSpot’s analytics tool. The referral traffic generated through our efforts accounts for about 5% of the total monthly traffic, and generates over a lead a day, on an average, for Demisto today. To accelerate growth, MarketHeed implemented various demand generation strategies for Demisto. Using content amplification platforms like Outbrain, we boosted traffic to Demisto’s website significantly. In a short time, leads generated from our efforts using Outbrain and other channels quickly surpassed Google AdWords campaigns showing that channels other than Google Ads for demand generation are just as important. Once the prospective customer leaves your website, there is a very slim chance of them returning to the website. To ensure that Demisto always stays ‘top of mind’, we suggested that they implement remarketing/retargeting campaigns. Using remarketing/retargeting, we could strategically position ads in front of the target audience that had previously visited their website – a way to lure them back to the website and keep them engaged. We also created the supporting content assets (like designing banner ads, fine-tune messaging for the ads, etc.) and implemented various display and search ad campaigns for them on channels like LinkedIn, Google AdWords, Facebook, Outbrain, etc. With a conversion rate of approx. 20%, our paid ads and remarketing campaigns on platforms like LinkedIn, Google and Facebook generate very high quality leads at a relatively low cost. Demisto saw a huge jump in number of leads after implementing this plan, making it one of the best ROI generating paid marketing campaign for them. We’ve executed various email marketing campaigns using HubSpot’s email platform for Demisto. Through HubSpot we were able to create campaigns specific to each item we were promoting whether it be a partner event, a webinar or a new whitepaper promotion as well as track the engagement easily by email or campaign all in one place. We helped develop and design a monthly newsletter that shared new product features, events that Demisto would be sponsoring and attending as well as events of high interest in the industry where they can not only learn more about the security world, but also get face time with Demisto. This resulted in improving prospect engagement with Demisto content and offers. To ensure that these newsletters were available to all prospects and customers, we also built a Newsletter Archives page called DBot’s News Desk for Demisto. As Demisto grew, they needed more ways to engage with their prospects online. Demisto had an abundance of Thought Leadership content in their own blog, in contributed articles as well as in the informational resources they offered on their website that they could use for promoting Demisto and engaging the prospects. MarketHeed trained Demisto’s team members to work with HubSpot Social Media Tools to schedule posts and track performance through the platform so that it could be easily handled in-house. In order to help boost blog readership, we implemented an easy way for prospects to subscribe to blog notifications and achieved tremendous results - in just 3 months, the number of blog subscriptions more than quadrupled. Webinars became a huge lead generator for Demisto early on. Depending on the content being presented, each webinar would draw in 100-300 leads in a very short time. MarketHeed implemented HubSpot workflows to track registration and attendance to these webinars and tag each contact with the appropriate campaign in Salesforce to track ROI of the campaign. One such event that Demisto sponsored earlier this year - Symphony Day - was a glowing success. We designed and implemented a custom HubSpot landing page for the event, and built HubSpot workflows to track event registrations (that came from the landing page), approvals and event attendance (the information was pushed from a custom app that would track approval and attendance into HubSpot using APIs). The campaign has been the second largest lead generating source in 2018 so far, and shows promising results from ROI standpoint too. MarketHeed knew early on that creating trust with customers by letting them try the Demisto platform would go a long way before getting them to buy into a long term commitment. We recommended an offer for “Demisto Free Edition”, which over time has been extremely successful. Today, this offer generates a third of all online leads that demisto gets via the inbound efforts. We also defined conversion paths for each of Demisto’s personas and identified different CTAs and offers that would help them generate new leads and allow existing leads in the nurture campaigns to progress to the next stage of the buying cycle. CTAs that were strategically placed on the website clubbed with the best content and other offers played a pivotal role in conversion optimization for Demisto. For conversions that came from outside the website, like LinkedIn/Facebook Lead ads, for example, we used HubSpot’s workflow tool to deliver the requested content by integrating the two platforms using Zapier. We then used HubSpot workflows to nurture leads and ultimately get them sales ready. With a content strategy in place, the next step was to appropriately track the progress of the inbound marketing efforts. Demisto was using Salesforce as their CRM, so they needed a way to link the data and be able to track various marketing campaigns and their ROI through Salesforce. MarketHeed utilized the built-in HubSpot Integration with Salesforce and also built a mechanism to track the source of the lead and attribute the ROI to the original lead source. Using the HubSpot Workflow feature it was now possible to tag each contact with their appropriate SFDC campaign as well as update their original and most recent lead source and then sync this information into custom fields in Salesforce for better ROI tracking of marketing campaigns. We ensured that HubSpot marketing activities were logged in Salesforce using the default HubSpot integration, giving the Demisto sales team the power to interpret each prospect's digital body language for more informed and meaningful conversations. We also implemented workflows in HubSpot to send instant internal notification emails to sales reps that would provide them with relevant information about prospects that engage with Demisto’s content online and allow them to have more timely and personalized conversations with prospects. When it comes to marketing offers, MaketHeed assisted in implementing a lot of ‘firsts’ in the space for Demisto - the first to offer free edition, the first to own the security orchestration keyword in the search world, etc. With their awesome product, Demisto is already an innovator in their space. The challenge for us is, ‘How do you improve marketing for a product that is already awesome?’ We believe the answer is in finding new ways to generate buzz for Demisto. It is no surprise, that one of the main functions of marketing is to generate buzz. Given that Demisto deals with a more technical audience, we knew that adding some features that would be perceived as ‘cool tech’ would go a long way for Demisto. Based on our recommendation, Demisto built an Alexa app integration with their product that they were able use as a promotional tool at various events where they exhibit and attract a lot more attention at the events by standing out from the competition. Video is quickly becoming the next big thing in the content marketing space. Demisto has a wealth of video assets that we leverage when implementing a video marketing plan for them. We’ve also implemented instream and keyword search based video ads on Youtube for Demisto that draw a 75% video view rate for Demisto helping bolster the Demisto brand in the industry. Being an innovative product themselves, Demisto is always willing to use innovative marketing technologies. Using the HubSpot conversations tool, we are implementing a new way for their prospects and customers to engage with the Demisto brand as well as talk to Sales reps when they are ready to do so, making this another self-service lead gen channel on the website for Demisto.